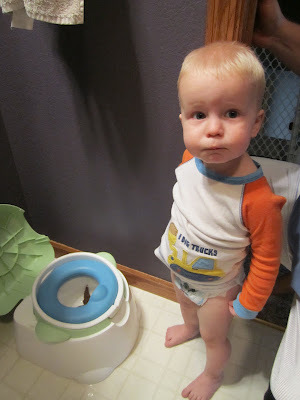 Graham pooped on the potty. Do you have déjà vu? I know I do. That is because we began the potty training process in July of 2011 and took a year-long hiatus before seeing any additional progress. I have to admit that the toilet activity we saw last summer was incredibly early and probably merely coincidental, but after the third consecutive diaper-free poop, I got my hopes up. And despite absolutely no action for over a year, my hopes stayed up through Saturday night, when Graham made a great developmental leap and told me that he needed to poop. After he unloaded on the potty, I got all giddy and unloaded a big pile of treats on him since I was not prepared enough to have a gift or reward ready. Joel threatened to throw up, so I charged him with calling our close relatives who congratulated Graham as if his bowel movements were typical fodder for conversation. They don't live with us. They don't know how much that topic comes up. But since then we've been at a stand-still. Every time I see that glazed over look in his eyes, I ask Graham if he's preparing to go and each time he replies that, no, he either doesn't want to or already has. I have repeatedly planted him on the potty with a show or movie on in the hopes that when he pees he will make some brilliant connection in his mind and rid us of diapers forever. Aside from one small yellow puddle in the training potty, all I've gotten is a warning about an incoming toot and a mangled knock-knock joke about a poop. Poop who? Stinky poop in his diaper. Bummer. Good luck!!!! Hopefully he will catch on soon. 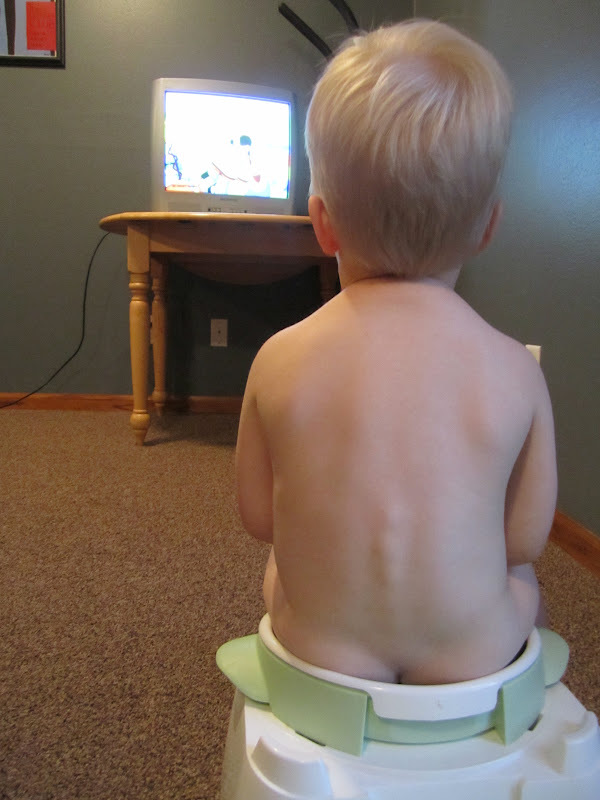 I had an epic potty training fail with my youngest just after he turned 3. Back to diapers we went and we were all happy again for 5 months! Then just a few weeks ago he decided he wanted to wear big boy underwear and, after a few struggles the first few days, he hasn't looked back. It's weird to not be changing diapers or lugging around the diaper bag anymore. Weird, but nice! Congrats! I hope Graham catches on soon. He's ready but he's stubborn. Sounds just like his brother!